How Do You Write the Equation of a Line in Slope-Intercept Form If You Have a Table? Looking at a table of values that represents a linear equation? Want to find that equation? Then check out this tutorial! 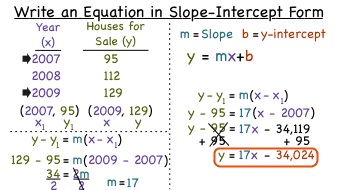 You'll see how to use values from a table to find the slope-intercept form of the line described in the table.